The CPI-M will raise post-poll political violence in Tripura at its party Congress beginning on Wednesday in Hyderabad, a party leader said on Monday. “We will circulate a booklet detailing the violent incidents in Tripura after the BJP-led government came to power,” Communist Party of India-Marxist (CPI-M) Central Committee member Bijan Dhar told the media. Dhar, before leaving here for Hyderabad, said a team of six Left Front leaders met Chief Minister Biplab Kumar Deb on Saturday and apprised him about the political violence after the counting of votes of Assembly election on March 3. “The Chief Minister assured us that he would take appropriate steps,” said Dhar, who is also the Tripura Left Front convener and state Secretary of the CPI-M.
Dhar said the Left Front leaders told the Chief Minister that 602 offices of the party and frontal organisations were attacked, occupied or burnt down across Tripura since March 3 by workers of the BJP and its ally Indigenous People’s Front of Tripura (IPFT). 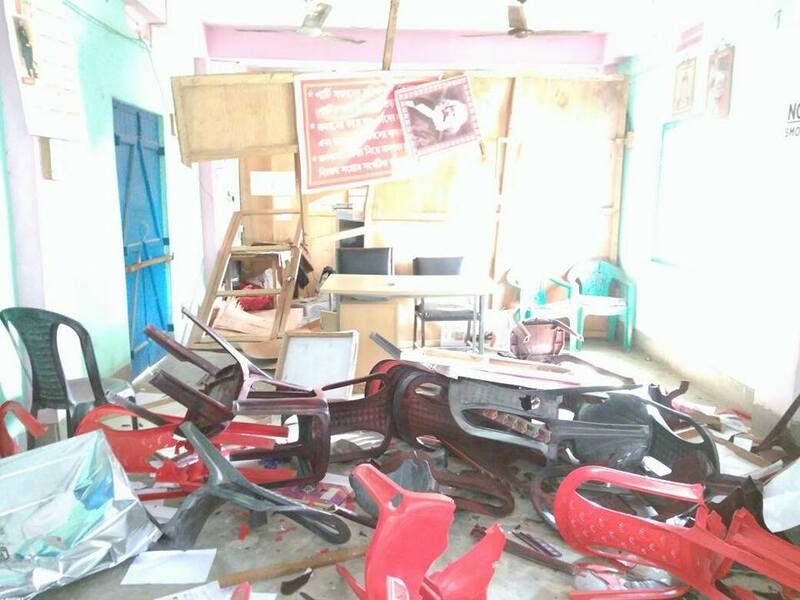 The CPI-M leader said within 48 hours of the Left leaders meeting the Chief Minister, the BJP-IPFT workers attacked party offices at Mohanpur, Melaghar and Mandai and damaged furniture and other properties.